It doesn’t take a detective to know that our nation is in the midst of a political election season. Chances are, your mailbox, inbox, browsers, and televisions are already riddled with political propaganda for an election that’s still over a month away. For businesses hoping to advertise on television, this time of year presents a number of challenges. 321Blink’s Senior Media Director, Stu Chaban, and President, Tim McLaughlin, shed some light on navigating advertising during the election season. For those unfamiliar with how political advertising works, there is a window of time – 45 days for primaries and 60 for general election – where any federal candidate who wants to be on air can get the television and radio stations’ lowest unit rates. The media is required to run federal election ads but not state or local. Not only do these candidates often have massive war chests of advertising money to spend, but political action committees (PACs) have large spending power as well and are more than willing to drop money in support of (or against) a candidate. The PACs do not get the same special rate as the candidates but have so much money that they run ads anyway. 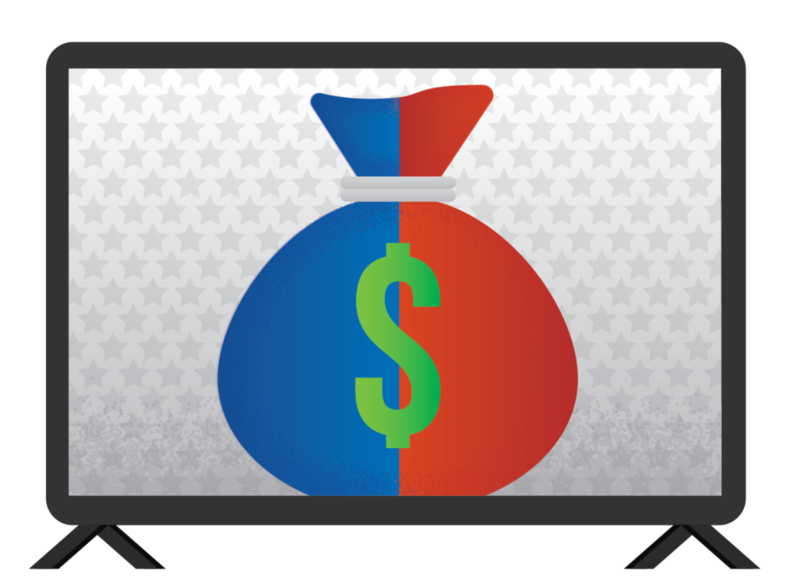 This causes the regular rates to skyrocket for other businesses looking to advertise on TV. How else does this affect brands? At this time of year, rates are exceedingly high. You have happy-spending PACs, close races, and the intense political climate to thank for that. For example, if an 11pm news spot normally costs $1,100, a PAC may be willing to pay $1,500 or more up front just because they can. Moreover, TV stations have to bump out regular advertisers in order to fit in all of the political ads. That’s why you’ll see so many of them back to back. This year has been especially politics-heavy in our region due to the Pennsylvania special election held in March. The stations will often run “make good” ads after the election through mid-November to compensate for having to bump regular advertisers out of their time slots in favor of political ads. While advertisers will eventually get the ads they paid for, that two-week window after the election will remain congested with the spots that could not fit into the election schedule. Inflated costs, low inventory, and a tightly packed ad schedule make for an environment that’s easy for viewers to tune out and ignore. “People’s frame of mind during election season is not conducive to consumer confidence,” Tim said, adding, “though seeing a very well done, non-political ad could come as a welcome respite for some viewers.” He mentioned that despite the circumstances advertisers face at election time, there are now more ways to work around it that don’t involve traditional media such as social media and digital marketing. Media spending is not the only thing affected by election season; the placement of the ads themselves can be a critical decision. Businesses that hold certain values might hesitate to run an ad knowing that it could be associated with a politician or news channel with opposing views. In turn, that limits the options of where a business can advertise in an already jam-packed setting. If you absolutely have to run a television ad during election season, it’s possible, but proceed with caution. Buy the spots as early as possible and be prepared to pay high rates. Consider temporarily shifting some of your advertising budget elsewhere, such as digital, social, or radio (which is also affected by political ads but much less so than TV). If you have any questions about media, feel free to contact Stu Chaban at stu@321blink.com.